The drive to Shark Bay is, in theory, too far to do in a day, plus there are lots of interesting things to see along the way. Ok, so not lots, there are vaaaaaaast stretches of nothing much at all, but there are some worthwhile places to see, so we planned to break it down into 3 stops. 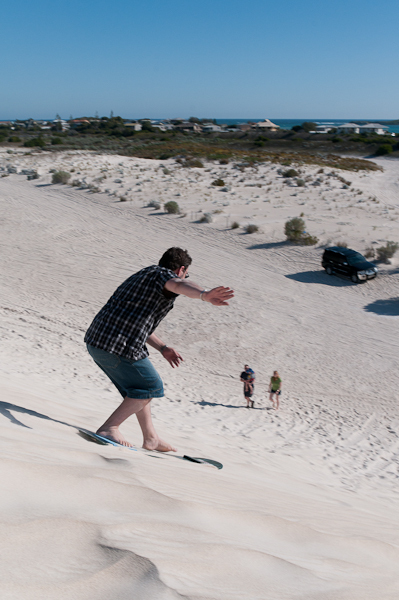 We packed the trusty Kia up early and headed off to Lancelin, our first port of call on the Shark Bay trip. 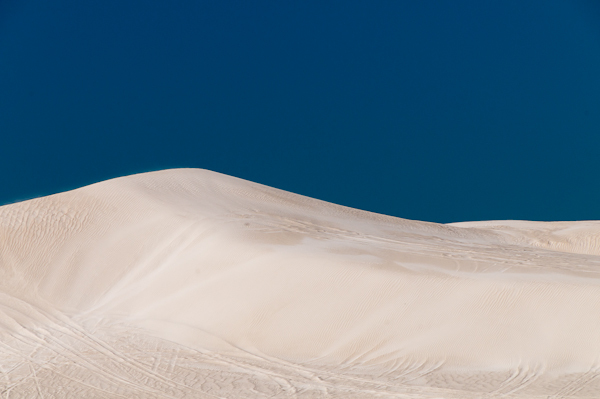 Lancelin is a little way for us southerners to get to – a little over 2 hours drive north from where we live and way beyond the limits of the northern reaches of suburban Perth. Its quite a pretty drive once you get out of the city – national parks, pine plantations, natural bushland (lots of that) and fruit farms. In no time at all, we were there and pulling up for lunch. 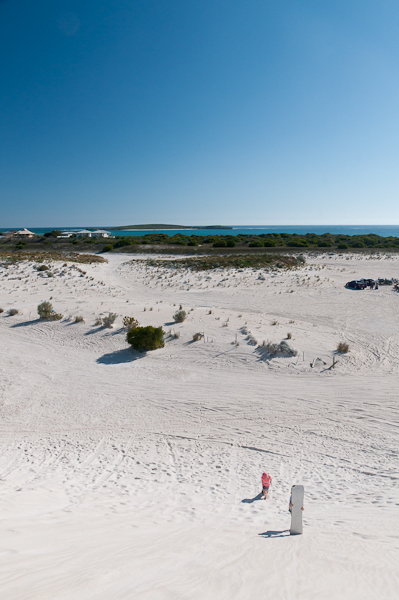 I did wonder if we’d gone the wrong way, as there was pretty much nothing there, a few shops and a couple of takeaway places and that was kind of it, but no, that’s really all there is to Lancelin town. 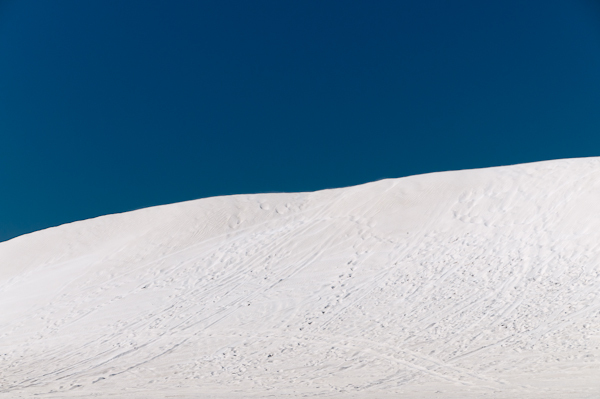 What we came here for were the sand dunes. 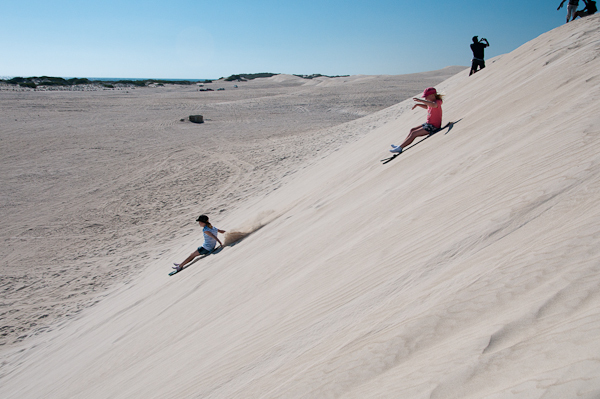 Lancelin is famous for having enormous dunes just behind the town and people come here with dirt bikes, quad bikes, modified 4×4’s etc to bash up and and down the huge lunar like sand hills. 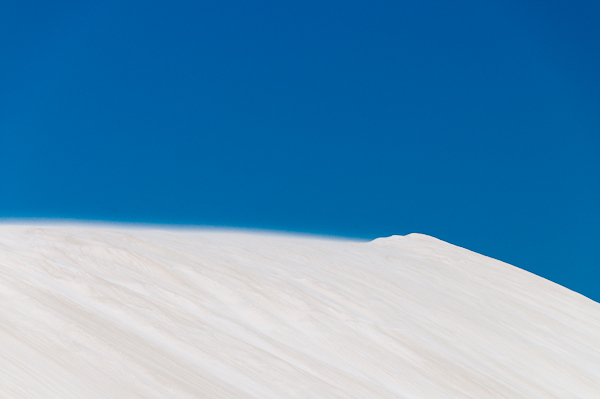 The dunes really are amazing, almost pure white sand (that gets everywhere) – combined with clear blue skies (and a polarising filter) – the resultant look could really be from another planet. 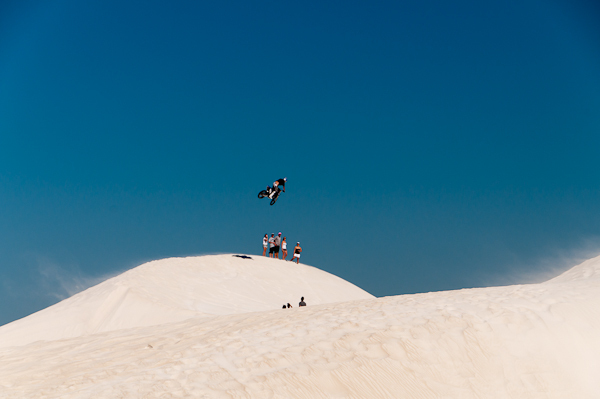 On of the other things you can do is to hire boards and go sandboarding. I had to have a go too!! Ok, I fell off within a few seconds of this shot – I should have hired the ones with the foot straps if I wanted to stand up! 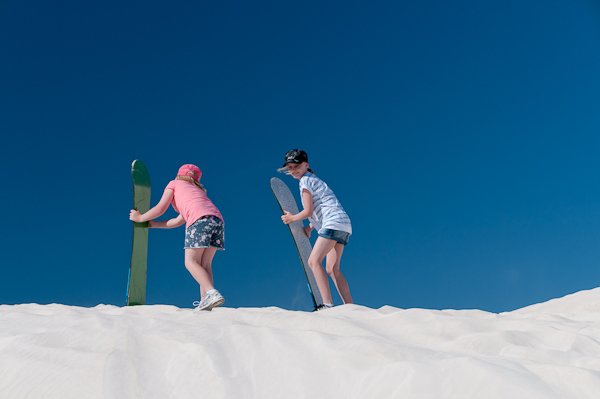 We had a great time but it was so hard to climb back up the dunes that we could only manage an hour before we had to take our burning thighs and return the boards and go find ice creams. The hotel was, erm, how can I put this.. crap. The little unit we stayed in was small, old, smelly and I was really glad we were only overnighting. The restaurant was very good though, if a little expensive. 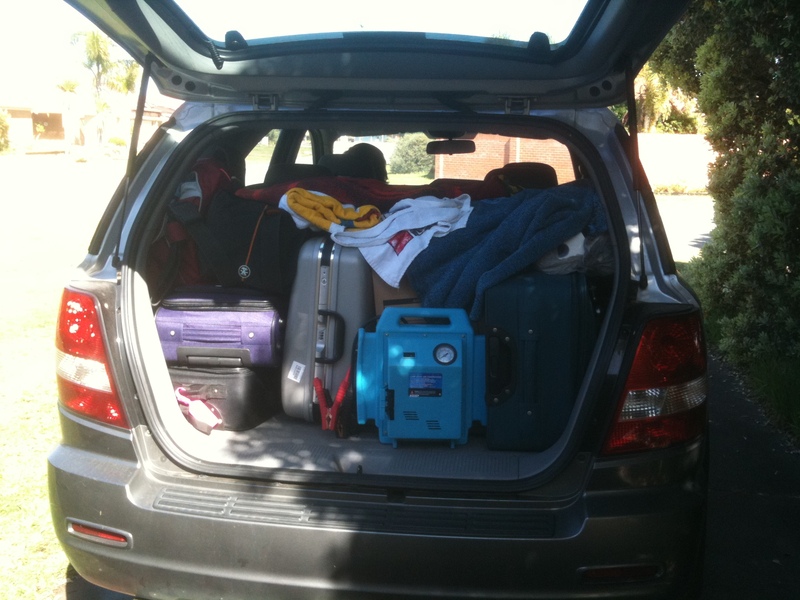 We set off the next day for part 2 of our journey up – The Pinnacles and Kalbarri.